Reiki Healing Journeys - More FAQ'S Do all healers use Reiki?All healers use life force or ki but not all use Reiki, it can only be channeled by someone that has been attuned to it. The Reiki practitioner's energy is never depleted because it is channeled energy. Is Reiki a religion?Although Reiki energy is spiritual in nature, Reiki is not a religion. Practitioners are not asked to change any religious or spiritual beliefs that they have. Do I have to believe in Reiki in order for it to work?Reiki works on the unconscious level of patients, babies and animals. They have no conscious awareness about Reiki. 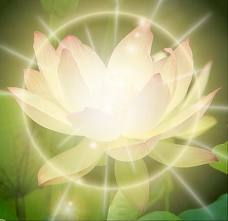 The acceptance of the Reiki energy during a Reiki treatment operates below conscious thought. It is the subconscious desires of the person in receipt of the Reiki energy that will determine whether the energy is taken in or not. Can I receive Reiki if I am on medication?Yes, you can. Reiki is being used in many hospitals and hospices world wide along side conventional therapies Can I treat myself?YES, once you received the attunement you can treat yourself and others. Can Reiki cause harm?Reiki energy works only for the Highest Good of each person and Can't cause harm. It is safe for anyone and for any situations including pregnant women and children.Can I combine Reiki with other Modalities and Therapies?YES, Reiki can be combined with other complimentary alternative therapies and will enhance their effects. All healers use life force or ki but not all use Reiki, it can only be channeled by someone that has been attuned to it. The Reiki practitioner's energy is never depleted because it is channeled energy. Although Reiki energy is spiritual in nature, Reiki is not a religion. Practitioners are not asked to change any religious or spiritual beliefs that they have. Do I have to believe in Reiki in order for it to work? Reiki works on the unconscious level of patients, babies and animals. They have no conscious awareness about Reiki. 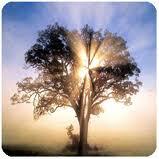 The acceptance of the Reiki energy during a Reiki treatment operates below conscious thought. It is the subconscious desires of the person in receipt of the Reiki energy that will determine whether the energy is taken in or not. Can I receive Reiki if I am on medication? YES, once you received the attunement you can treat yourself and others. Reiki energy works only for the Highest Good of each person and Can't cause harm. It is safe for anyone and for any situations including pregnant women and children. Can I combine Reiki with other Modalities and Therapies? YES, Reiki can be combined with other complimentary alternative therapies and will enhance their effects. Attunements are individual initiations that a Reiki Master Teacher gives each student. The attunements are energy infusions that ignite and accelerate our natural ablilty to access, focus and channel rei-ki energy. Attunementswere initially called reju in Japan but when the system was moved in the West, it was also called initiations, empowerments, attunements .The attunement process, performed and qualified only by A Reiki Master Teacher, in an amplified state creates a channel through the upper Chakras or energy centers so that the rei-ki energy can flow into and through an individual,ultimately coming out of the palms of the hands. Attunements are given at each level of Reiki System training to open and expand your ability to channel rei-ki energy. Reiki therapy is safe and non-invasive. It is proving useful in hospices, nursing homes, emergency rooms, operating rooms, organ transplantation care units, pediatric, neonatal and OB/GYN units; facilitating relaxation and recovery and decreasing anxiety and pain; it can be a helpful addition to conventional therapy for HIV/AIDS and cancer patients [Miles: http://www.alternative-therapies.com/at/pdfarticles/0103reiki.pdf]. Reiki has also been documented to benefit patients with multiple sclerosis, lupus, fibromyalgia and thyroid goiter. Reiki is already used in several hospitals for cancer patients: Reiki is used in conjunction with conventional cancer treatments, Reiki is reported to ease the side effects of chemotherapy and radiation, improve immune function, ease anxiety and enhance positive emotional attitude, decrease pain and promote relaxation.